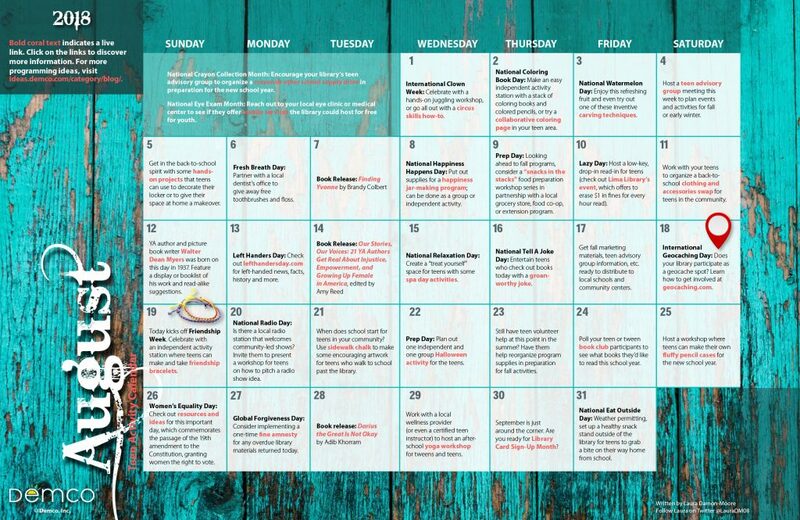 Make the most of the final weeks of summer this August by celebrating Friendship Week, Women’s Equality Day, Coloring Book Day and more! 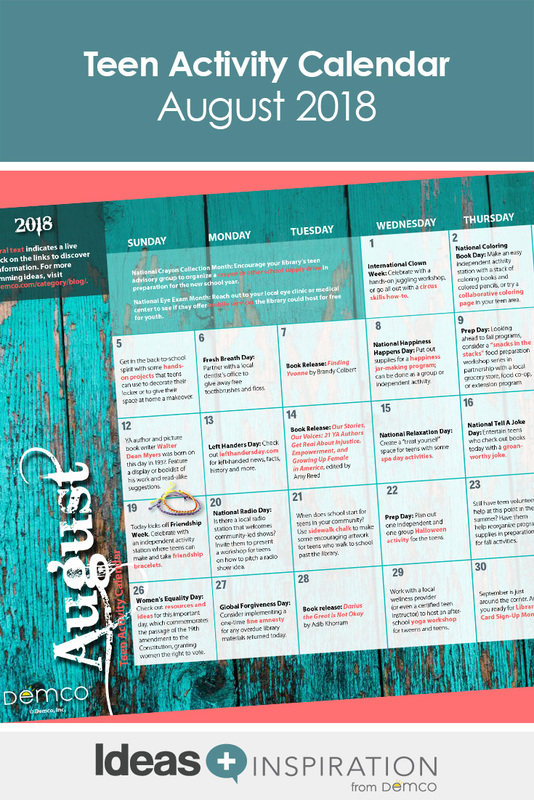 Laura Damon-Moore shares craft projects, game ideas, book suggestions and much more to bring a satisfying close to summer and an exciting start to the new school year! Laura is a Community Engagement Librarian at the Madison Public Library in Madison, Wisconsin, and the co-founder of the Book to Art Club and the Library as Incubator Project. She is also co-author of The Artist’s Library: A Field Guide from the Library as Incubator Project (Coffee House Press, 2014). Visit her website, Laura in the Library and find her on Twitter @LauraDM08 or @IArtLibraries.